John T. Tong, MD, FACS, FAAP double specialized in both Ophthalmic Plastic Surgery and Pediatric Ophthalmology & Strabismus. He obtained his medical degree from Jefferson Medical College in Philadelphia through an accelerated program where he finished college in 2 years. Dr. Tong completed his residency at the University of California Los Angeles. He finished his first fellowship in Pediatric Ophthalmology & Strabismus with Dr. Marshall Parks at the Children’s National Medical Center in Washington, DC. He then completed his second fellowship in Ophthalmic Plastic Surgery at the University of California Los Angeles and in Beverly Hills. After his dual fellowship training, he practiced in California for over seven years before moving to Texas. In addition to seeing children for pediatric ophthalmology and strabismus, Dr. Tong sees both children and adults for ophthalmic plastic surgery issues. These include droopy eyelids/ptosis/dermatochalasis, droopy eyebrows, eyelid cancer, tearing/nasolacrimal duct problems, in-turning/entropion and out-turning/ectropion of the eyelids, Botox injections and filler injections. 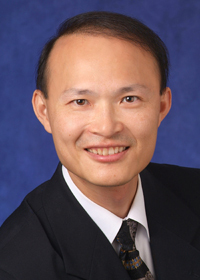 Dr. John T. Tong has authored multiple articles and given lectures at multiple meetings. He is a Fellow of the American Association of Pediatric Ophthalmology & Strabismus, American Association of Cosmetic Surgery, American Society of Ophthalmic Plastic & Reconstructive Surgery, American Academy of Ophthalmology, and American College of Surgeons. Dr. John T. Tong, MD was chosen by the readers of Dallas Fort Worth Child Magazine as a Mom-Approved Doctor. Your knowledge and expertise set you apart-and moms have noticed and nominated you for this award. 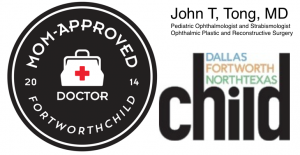 To schedule an appointment with Dr. John Tong, contact either the Dallas Office or the Grapevine Office. Tong J. Punctoplasty. eMedicine from WebMD. Updated August 20, 2012. 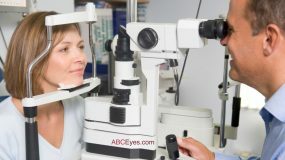 Available at: http://emedicine.medscape.com/article/1844236-overview. Tong J. Oculoplastic Update. ASORN 2009 Ophthalmic Update. Invited Lecture. July 25, 2009. Fort Worth, Texas. Tong JT. Pediatrics and Strabismus. In: Hersh P, Zagelbaum B, Cremers S ed. Ophthalmic Surgical Procedures 2nd ed. Thieme, New York, 2009, p 190-225. Tong JT. 18-month follow-up with the Hydrogel osmotic tissue expander for clinical anophthalmos. Presentation. ASOPRS 2003 Fall Scientific Symposium. November 15, 2003. Anaheim, California. Tong JT. Pediatric Eyelid and Orbital Tumors. New Frontiers in Vision Care. Invited Lecture. October 18, 2003. Sacramento, California. Tong JT. Pediatric Strabismus: More Than Just Esotropia and Exotropia. The Sacramento Valley 15th Annual Ocular Symposium. Invited Lecture. September 27, 2003. Sacramento, California. Tong JT. Common Pediatric Ophthalmology Problems. UC Davis Subspecialty Lecture. May 12, 2003; Sacramento, California. Tong JT. Initial look at the MMA-VP orbital implant. Presentation. Costenbader Society Annual Meeting. March 28, 2003; Wailea, Maui. Tong JT, Lee Tong AP. Internet search patterns for medical information by parents and their recognition of AAPOS. Poster. 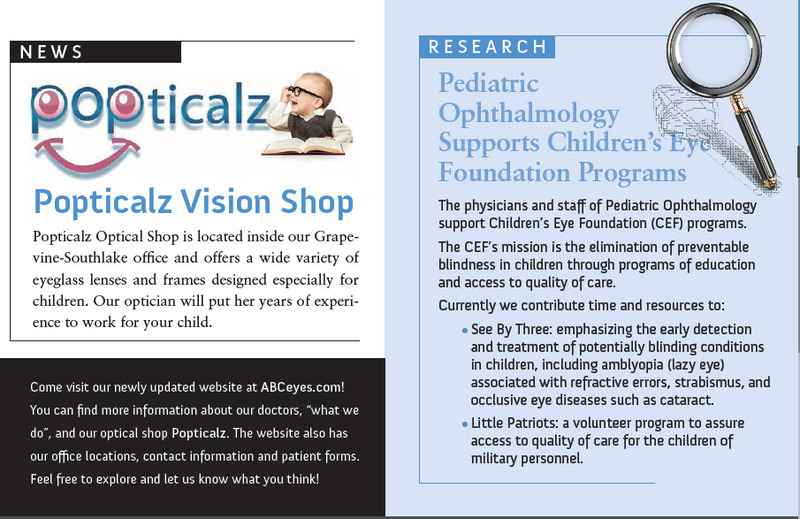 American Association of Pediatric Ophthalmology and Strabismus Annual Conference. March 25, 2003; Waikoloa, Hawaii. Tong JT, Foster JA. Congenital anomalies of the lids and orbit. In: Hertle RW, Schaffer DB, Foster JA ed. Pediatric Eye Diseases: Color Atlas and Synopsis. McGraw-Hill, New York; 2002, p 41-47. Tong JT. Overview of the self-inflating iimplant. Invited lecture. Medical Advisory Seminar of the American Society of Ocularists. October 23, 2002; Orlando, Florida. Goldberg RA, Shorr N, McCann JD, Tong JT, et al. Advanced techniques in orbital decompression and expansion. Instructor. American Academy of Ophthalmology Annual Meeting. October 22, 2002; Orlando, Florida. Tong JT. Advances in oculoplastic surgery. Invited lecture. The Sacramento Valley 14th Annual Ocular Symposium. Septemter 28, 2002. Tong JT. Moderator. 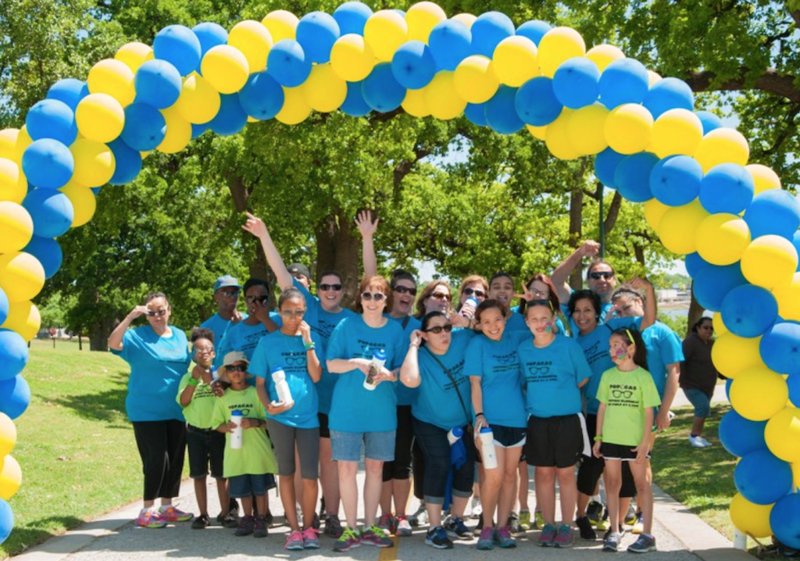 The Child’s Eye: Pediatric Ophthalmology Update 2002 – The 25th Annual Ophthalmology Symposium, A Tribute to Dr. Byron H. Demorest. UC Davis. May 18, 2002. Napa Valley, California. Tong JT. Pediatric tumors: Things that go bump in the night. Invited lecture. UC Davis Grand Rounds. November 30, 2001. Tong JT. Upper blepharoplasty in the Asian eyelid. Presentation. Aesthetic Eyelid and Orbitofacial Surgery: Options and Finesse, June 9, 2001. Los Angeles, California. Tong JT. Aesthetic considerations in blepharoplasty and congenital ptosis. Invited lecture. UC Davis Grand Rounds. March 9, 2001. Tong JT. Orbit. In: Rudolf CD, Rudolf AM, Hostetter MK, Lister G, Siegel NJ ed. Rudolph’s Pediatrics 21st Ed. McGraw-Hill, New York, 2003, p 2406-2411. Tong JT. Eyelids. In: Rudolf CD, Rudolf AM, Hostetter MK, Lister G, Siegel NJ ed. Rudolph’s Pediatrics 21st Ed. McGraw-Hill, New York, 2003, p 2362–2366. Perry JD, Goldberg, RA, Shorr N, McCann J, Tong JT, Engstrom R. Bovine hydroxyapatite orbital implant: a preliminary report. Presentation. ASOPRS Fall Symposium, October 21, 2000; Dallas, Texas. Tong JT, Goldberg RA,. A rational approach to congenital microphthalmos. Presentation. ASOPRS Fall Symposium, October 21, 2000; Dallas, Texas. Tong JT, Goldberg RA, Perry JD, McCann JD. Early results of the frontalis muscle flap technique for the treatment of congenital ptosis. J AAPOS 2000;4(3):186-7. Goldberg RA, Perry JD, Hortaleza V, Tong JT. Strabismus after balanced medial plus lateral wall versus lateral wall only orbital decompression for dysthyroid orbitopathy. Ophthalmic Plastic Reconstruc Surg 16(4); 2000, 271-277. Boxrud CA, Baylis HI, Goldberg RA, McCann JD, Shorr N, … Tong JT, …. 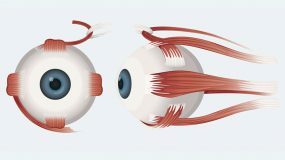 New techniques in facial rejuvenation and body recontouring as it relates to the orbital-facial plastic surgeon. Course Faculty. JSEI May 12-13, 2000, Los Angeles. Tong JT, Goldberg RA. Orbital Expander and Bony Orbit Growth in Patients with Severely Microphthalmic Globes. Poster. AAPOS. April 15, 2000; San Diego, California. Tong, JT. New Concepts in Pediatric Oculoplastic Surgery. Second Annual joint JSEI/SCCO Eye Symposium: Pediatric Care. January 9, 2000; Los Angeles, California. Goldberg RA, McCann JD, Shorr N, … Tong JT, …. Orbital surgery: a master’s symposium and dissection workshop. Course Faculty. JSEI December 10-11, 1999, Los Angeles. Golberg RA, Tong JT. Entropion treatment. In Facial Plastic and Reconstructive Surgery. ed Toriumi D, et al. Lippincott, Williams & Wilkins: Philadelphia. In Press. Tong JT, McCann JD, Goldberg RA, Shorr N, Baylis HI. Comparison of cadaveric acellular derma, dura mater and pericardium conjunctival allografts. ASOPRS Thesis. Submitted. Goldberg RA, Shorr N, McCann JD, Tong JT, et al. Advanced techniques in orbital decompression and expansion. Instructor. American Academdy of Ophthalmology Annual Meeting. October 26, 1999; Orlando, Florida. Goldberg RA, Baylis HI, Shorr N, Tong JT, et al. Finesse in orbital and ophthalmic plastic surgery: an advanced practical course. Instructor. American Academy of Ophthalmology Annual Meeting. October 25, 1999; Orlando, Florida. Perry JD, Goldberg RA, Tong JT. Shared nasal mucosal graft for treatment of cicatricial entropion. Video. American Academy of Ophthalmology Annual Meeting. October 25, 1999; Orlando, Florida. Tong JT, Goldberg RA, Perry JD. Autogenous frontalis muscle flap for ptosis surgery. Video. ASOPRS Fall Symposium, October 23, 1999; Orlando, Florida. Perry JD, Goldberg RA, Tong JT. Strabismus following balanced medial plus lateral wall versus lateral wall only orbital decompression for dysthyroid orbitopathy. Presentation. ASOPRS Fall Symposium, October 23, 1999; Orlando, Florida. Tong JT, McCann JD, Goldberg RA, Shorr N, Baylis HI. Comparison of cadaveric acellular derma, dura mater and pericardium conjunctival allografts. Thesis Presentation. ASOPRS Fall Symposium, October 23, 1999; Orlando, Florida. Hoenig JA, Shorr N, Goldberg RA, McCann JD, Baylis HI, Tong JT, et al. Aesthetic facial surgery: the evolution of oculoplastics. Course Faculty. October 22, 1999; Orlando, Florida. Tong JT, McCann JD, Goldberg RA, Perry JD. Re-epithelialization of conjunctival allografts in a rabbit model. Poster. The Association for Research in Vision and Ophthalmology Annual Meeting, May 12, 1999; Fort Lauderdale, FL. Investigative Ophthalmology & Visual Science 40, 1999. Goldberg RA, Rosenbaum AL, Tong JT. Use of apically-based periosteal flaps as globe tethers in severe paretic strabismus. Arch Ophthalmol 118(3):431-437;2000. Tong JT, Goldberg RA, Perry JD, McCann JD. Early results of frontalis muscle flap technique for the treatment of congenital ptosis. J AAPOS. 2000 Jun;4(3):186-7. Tong JT, Bateman JB. Selective B-wave reduction with congenital cataract in neurofibromatosis-2. Ophthalmology 106:1681-1683;1999. 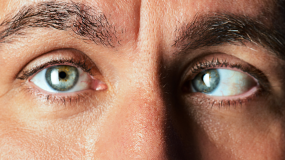 Comprehensive cosmetic blepharoplasty and laser resurfacing: options and finesse. Course Faculty. June 18-19, 1999; Los Angeles, California. Tong JT, Goldberg RA, Perry JD, McCann JD. Early results of frontalis muscle flap technique for the treatment of congenital ptosis. Presentation. American Academy of Pediatric Ophthalmology and Strabismus Annual Meeting. April 18, 1999; Toronto, Ontario. Boxrud CA, Baylis HI, Shorr N, Goldberg RA, McCann JD, Tong JT, et al. New techniques in facial and body fat recontouring as it relates to the oculoplastic surgeon. Course Faculty. March 12-13, 1999; Los Angeles, California. Tong JT, Goldberg RA, Perry JD. The adjustability of silicon rods in frontalis slings. Presentation. Costenbader Society 31st Annual Meeting. January 16, 1999; New York, New York. Tong JT, Goldberg RA, Perry JD. 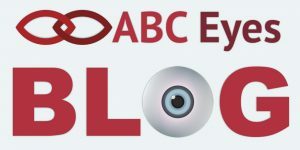 A new autogenous solution to anophthalmic ptosis. Presentation. American Society of Ocularist Medical Advisory Lectures. November 11, 1998; New Orleans, Louisiana. Goldberg RA, Shorr N, McCann JD, Tong JT, et al. Advanced techniques in orbital decompression and expansion. Associate Instructor. American Academdy of Ophthalmology Annual Meeting. November 10, 1998; New Orleans, Louisiana. Goldberg RA, Tong JT, Baylis HI, Shorr N, McCann JD. Adjustable suture for cheek suspension in facelift surgery. Video presentation. American Society of Ophthalmic Plastic and Reconstructive Surgery Scientific Symposium. November 7, 1998; New Orleans, Louisiana. Hoenig JA, Shorr N, Goldberg RA, McCann JD, Baylis HI, Tong JT, et al. Aesthetic facial surgery: the evolution of oculoplastics. Course Faculty. November 6, 1998; New Orleans, Louisiana. Tong JT, Souto A, Padmanabhan K, Chen J. Preliminary results of the effect of oral thalidomide on corneal graft rejection in a rabbit model. Poster. The Association for Research in Vision and Ophthalmology Annual Meeting, May 10, 1998; Fort Lauderdale, FL. Investigative Ophthalmology & Visual Science 39, 1998. Tong JT, Parks MM, Patel K. Long-term success rate of bilateral lateral rectus recession in the management of intermittent exotropia. Presentation. Costenbader Society 30th Annual Meeting. March 8, 1998; Dallas, TX. Tong JT, Miller KM. Intraocular pressure reduction following sutureless phacoemulsification and foldable posterior chamber intraocular lens implantation. J Cataract Refract Surg 24:256-262, 1998. Tong JT, Souto A, Padmanabhan K, Chen J, Yoshizumi MO, Mondino BJ. The effect of oral thalidomide on corneal graft rejection in rabbit eyes. Poster. Jules Stein Eye Institute Eighth Annual Research and Alumni Day. Saturday, March 8, 1997. Miller KM, Grusha YO, Hoffer KJ, Hoyt JM, Masket S, Shuler JD, Stead SW and Tong JT. Corneal incision phacoemulsification and topical anesthesia update. Presentation. Symposium on Cataract, IOL and Refractive Surgery, American Society of Cataract and Refractive Surgery; June 2, 1996, 8:00-10:00am; Seattle, WA. Tong JT, Miller KM. Intraocular Pressure Reduction Following Sutureless Phacoemulsification and Foldable Posterior Chamber Intraocular Lens Implantation. Poster. The Association for Research in Vision and Ophthalmology Annual Meeting, April 23, 1996; Fort Lauderdale, FL. Investigative Ophthalmology & Visual Science 37(3):S589, 1996. Tong JT, Miller KM. Intraocular Pressure Reduction Following Sutureless Phacoemulsification and Foldable Posterior Chamber Intraocular Lens Implantation. Presentation. JSEI Seventh Annual Research and Alumni Day, March 2, 1996; Los Angeles, CA. Tong JT, Apt L. Congenital Eye Abnormalities from Drugs During Pregnancy. Presentation. JSEI Research and Alumni Day, March 4, 1995; Los Angeles, CA. Tong JT, Mazzoli R, Flanagan JC, Eagle RC, Font RL. Benign mixed tumor of the accessory lacrimal gland. Ophthalmic Plastic and Reconstructive Surgery 11(2): 136-138, 1995. Thakur ML, DeFulvio J, Tong JT, John E, McDevitt MR, and Damjanov I. Evaluation of biological response modifiers in the enhancement of tumor uptake of Tc-99m labeled macromolecules. Journal of Immunological Methods 152(2):209-216,1992. Thakur ML, DeFulvio J, Tong JT, Damjanov I, McDevitt M, John E, Rhodes BA, Eshima D, Mann P. Imaging tumors with Tc-99m labeled tumor necrosis factor: Influence of biological response modifiers. Journal of Nuclear Medicine 32(5):1021,1991. Tong JT, DeFulvio J, Thakur ML, Damjanov A, Damjanov I. Imaging tumors with Tc-99m labeled tumor necrosis factor alpha: Influence of biological response modifiers. Poster. Thomas Jefferson University Sigma Xi Student Research Day, April 3, 1991; Philadelphia, PA.